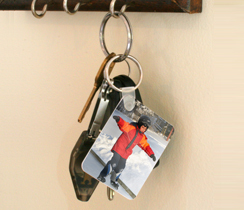 Durable fiberglass key tag has rounded edges and an attached metal key ring. Key tag is 1.75" x 2". Great team or club gift, or gift for students, parents and grandparents!